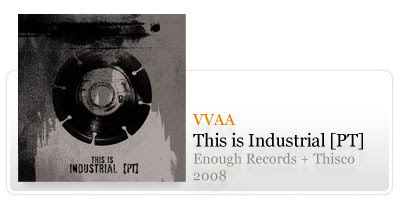 Compilation of Portuguese projects active in 2008 surrounding the industrial genre, inspired by the industrialpt association. 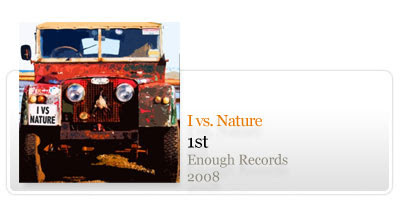 Limited digipack physical edition of 500 copies will come out through Thisco Records in early 2009. Participating projects in order of tracklist appearance are: Z.O.T.E., ps vs Sektor 304, Waste Disposal Machine, Control Alt Deus, aktiv[E|H]ate, 1N.C1.D3.N7, Sci-Fi Industries, Kronos, Violet And The Mutants, Mikroben Krieg, Structura, Stuka, DSM666, U.M.M. and Oocito II. Artwork by André Coelho. Debut release of Australian Matt Preston under his indie surf pop electronic project called I vs. Nature. 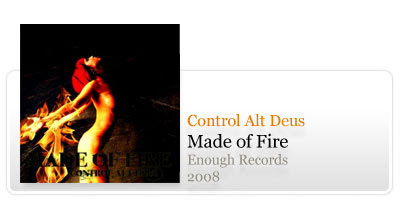 Latest demo EP by Portuguese hellektro duo Control Alt Deus, originally distributed at the Lock The Target festival, now also freely available for download. We take the oportunity to also annouce that Beats Play Free forum has opened, there you can find info on our regular portuguese netaudio events and some reviews of other releases. Register if you haven't already. Also, Enough Records is still looking for more graphic designers to help finish artwork to our backcatalogue in time for our website revamp, so if you're into that, pick a random coverless release (they are easy to spot, they're all the early catalogue ones we didnt do .zips from yet) and send us an email about it. If you do well we'll send you some promo goodies along with proper credit and url linkage next to the release. :) Enough is a good oportunity to fill up your designer portfolio according to some of our colaborator friends Hélder Costa, André Coelho, Joana Queiroz and Timo Harju, among others.